Chevrolet's newest small SUV is built to handle like a sedan but provide the benefits of a larger crossover. 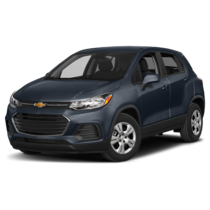 With responsive and agile driving style, the ability to fit into small parking spaces, upgraded tech and connection features, and flexible and surprisingly spacious cargo room that can accommodate up to five passengers, the 2019 Chevrolet Trax is perfect for driver's who aren't willing to compromise. You can explore everything this small SUV has to offer by viewing and downloading the digital brochure, courtesy of Graff Bay City. See interior and exterior photos, details on features like Apple CarPlay and Android Auto, fuel economy info, and more by clicking below! When you're ready to take the next step in your search for a small SUV with great cargo space and modern tech features, Graff Bay City is here to help. You can begin shopping for a new 2019 Trax model online. Our inventory listings are updated daily, so you can browse from your smart phone, tablet, or personal computer whenever is convenient for you and know exactly what's available on our lot. We believe the best way to know if a vehicle is right or you is to take it for a spin and test out the features most important to you. 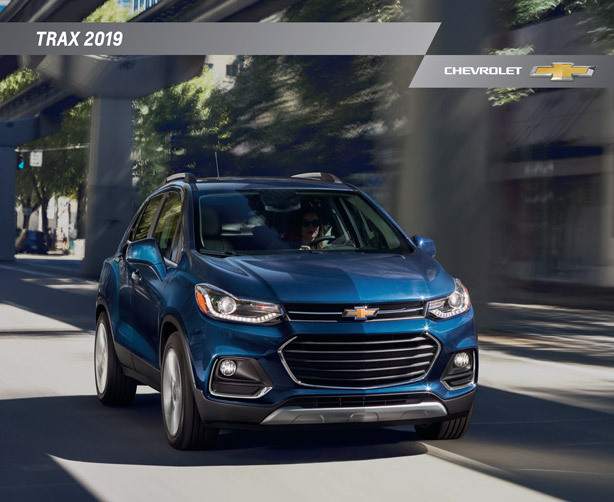 Simply choose a 2019 Chevy Trax you like from our wide selection and give our team a call at (989) 684-4411 to set up a test drive. If you're not finding the Trax you're looking for, let us know. It's our goal to get you a vehicle that meets your needs, wants, and budget!